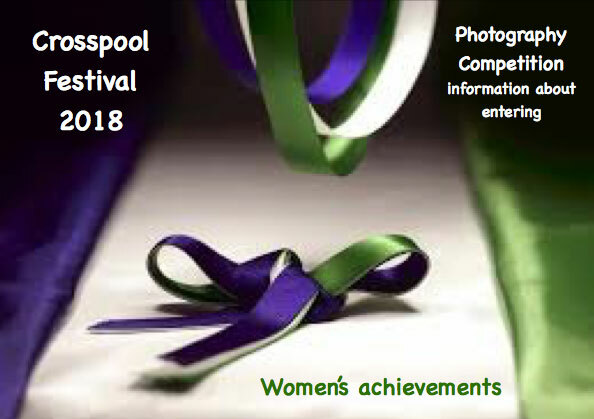 Enter the 2018 Crosspool Festival photo competition! The theme of this year’s photo competition is the contribution of women in the world. Your entry could include a portrait picture of a mother, sister, or inspiring friend, or someone you look up to and admire. We don’t just want portraits, though. Your entry could, for example, reflect one or more of the colours and values of the Suffragettes. These were purple which symbolised dignity, white for purity and green which symbolised hope. You can interpret the theme in any way you like but remember, the photo should make an impact and tell a story. Closing date for entries is Monday 11 June. There will be prizes for all the category winners and their photo framed. The winner’s photo could also be included in the Crosspool Calendar. The public select the winning photographs. The shortlisted best three in each category will be put on the Crosspool Forum website http://www.crosspool.info and voting for the winners will start from Friday 15 June and close on Monday 2 July. The exhibition at St Columba’s will display all the entries on Wednesday 4 July from 2-4.30pm. You can also meet photographers from Sheffield Photographic Society, see their photos on display and ask them your photo questions. The winners will be announced at St Columba’s on Wednesday 4 July at 4pm. Tea and coffee will be provided by St Columba’s. The prizes will be awarded at the Summer Fayre on Saturday 7 July. This entry was posted in crosspool, crosspool festival 2018, photos and tagged photo competition. Bookmark the permalink.